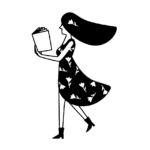 These days, we can get so many things via our smartphones — rides, dates, and food, of course, especially with all the apps out there, like GrubHub and DoorDash. 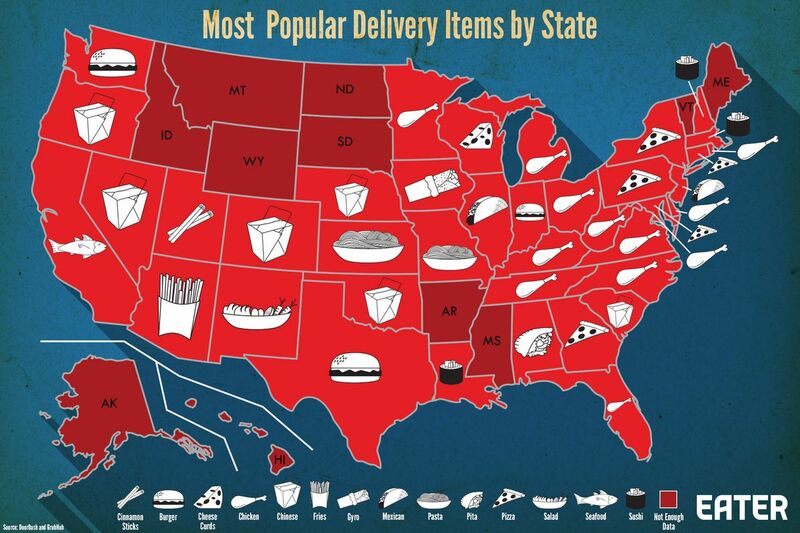 Have you ever wondered that the most popular food delivery order is in your state? Fun fact: Americans placed almost one billion online orders in 2015, according to Quartz and marketing research company NPD Group, reported Eater. That figure went up 125 percent from 2010. Crazy, huh? 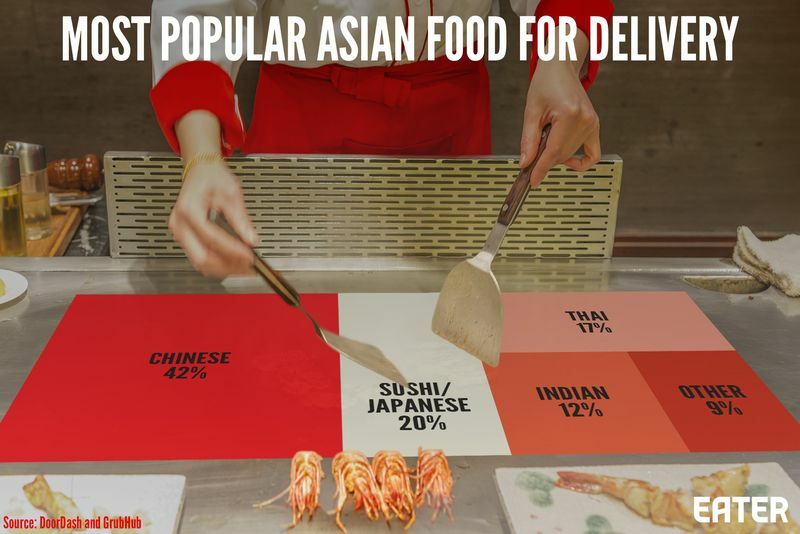 Eater asked GrubHub and DoorDash for the DL on the most ordered and popular food items in various states, and here’s what they discovered. Btw, more than 270,000 online orders (in more than 1,000 U.S. cities) are placed via GrubHub per day. How were the results calculated?! Data from 2015 was examined in terms of food items that received more orders than the baseline order volume for that item across the U.S., reported Eater. Plus, nationwide pizza chains were not included because they are usually not on GrubHub or third-party apps. And if data did not exist or was too low, it wasn’t included. Seems fair to us. What was a trend that was found? In a word — chicken. 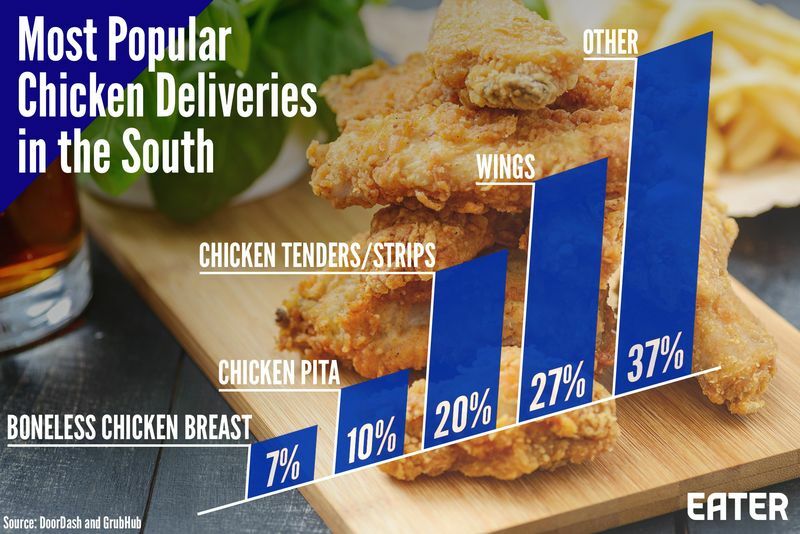 It was the most popular delivery item, per GrubHub and DoorDash users, at least, and many of the southeast states were fans. Here’s an even more specific breakdown. 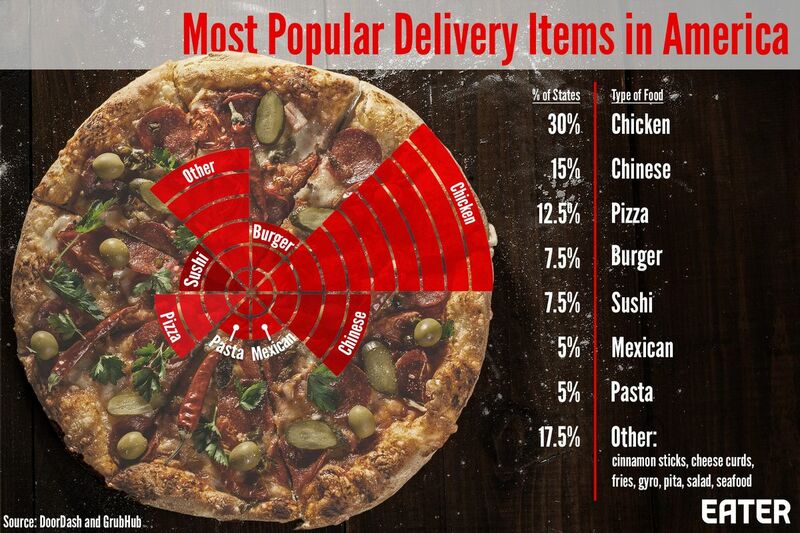 And, Chinese food was the most popular delivery item in six states. 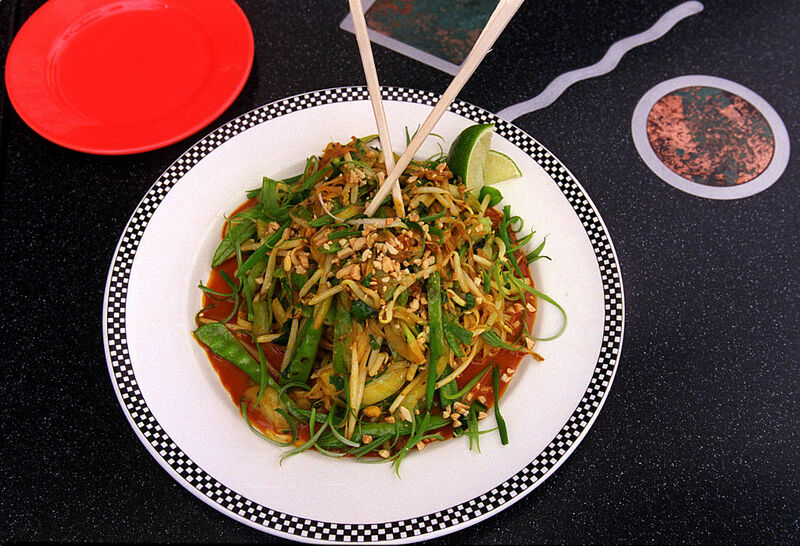 If we include sushi, Asian food is the main choice in 13 states. 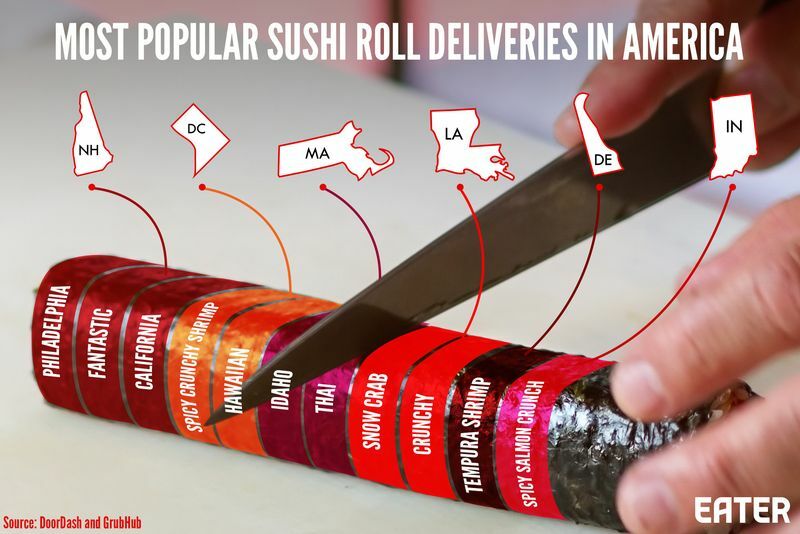 As far as sushi’s concerned, the California roll and tempura shrimp roll are among the top items when it comes to delivery. Furthermore, most Chinese-ordering states were toward the west side of the country, while more pizza was ordered on the east coast. You can check out the full map here, courtesy of Eater, GrubHub, and DoorDash.